Despite the fact that that Driving Miss Daisy won a Pulitzer, an Oscar and a Tony Award, I had somehow never gotten around to seeing the stage or movie version of Alfred Uhry’s masterpiece about the friendship between a sharp-tonged southern widow and her black driver set against the backdrop of a burgeoning civil rights movement. 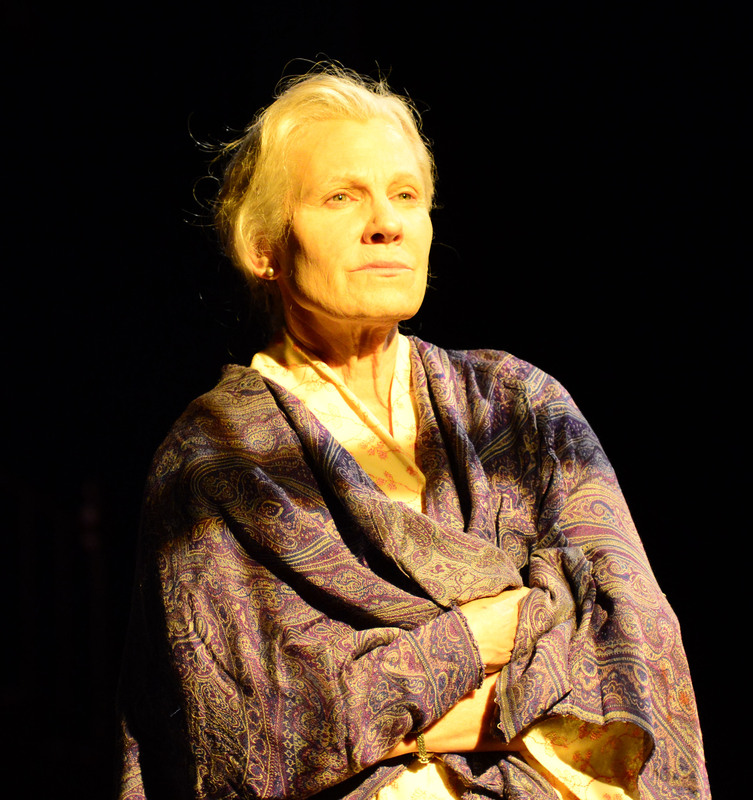 Any disadvantage resulting from that omission may have been offset by an ability to approach the current production at Gloucester Stage Company unencumbered by preconceived notions about the characters or the plot. We first meet 72 year-old widowed Miss Daisy (played by Academy-Award nominee and Gloucester resident Lindsay Crouse) in 1948, after the retired Atlanta school teacher has managed to crash her new Packard into her neighbor’s garage. Her adult son, Boolie (Robert Pemberton), is getting the expected resistance as he tells his mother that it’s time for her to give up driving. He’ll hire a “colored” driver for her, Boolie informs Daisy. It’s a decision that does not sit at all well with a southern white woman born before 1880 who is accustomed to doing things for herself. Boolie hires Hoke Coleburn (Johnny Lee Davenport) at $20 a week. Although he is the same age as Miss Daisy, Hoke must put up with her cold shoulder for nearly a week before she finally and reluctantly agrees to let him drive her to the grocery store. 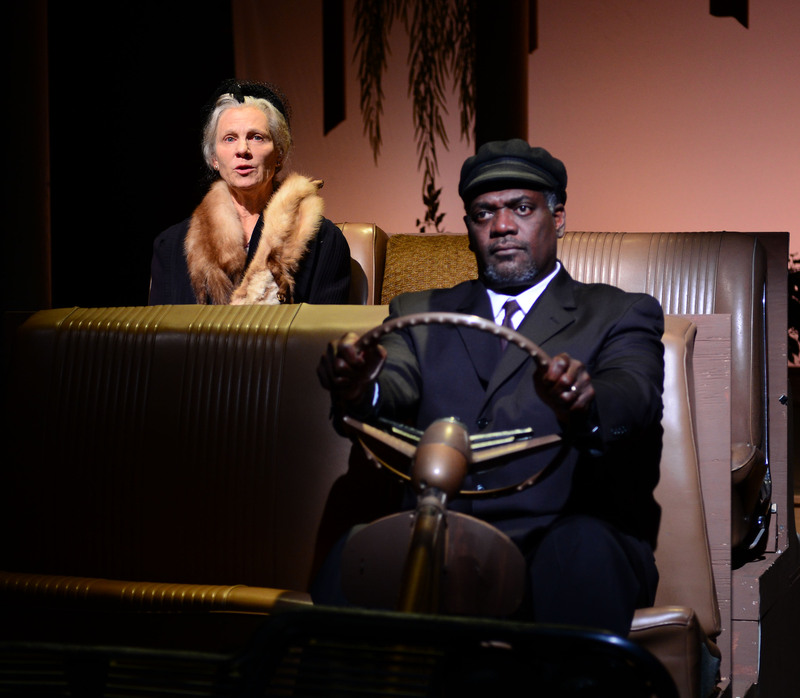 From then on, whether he’s driving Miss Daisy to the store, to the cemetery or to the Jewish temple where she’s an active congregant, Hoke must endure Miss Daisy’s sharp-edged criticism and overbearing back seat driving. Only when they pay a visit to the cemetery and Hoke must admit through his embarrassment that he is unable to read, does Miss Daisy begin to appreciate the disadvantages that Hoke has had to overcome in life. 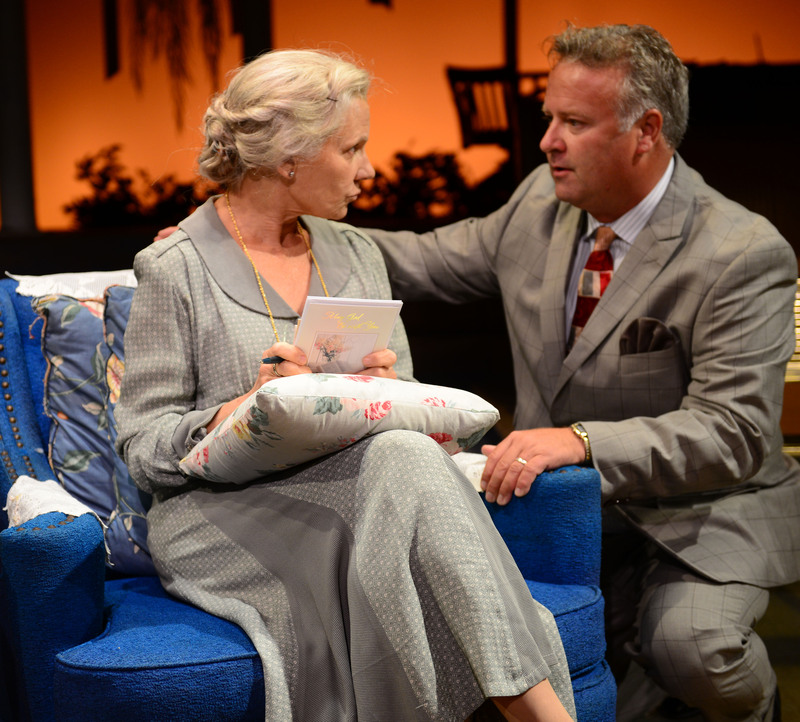 Later, when he drives her to Mobile for her brother’s 90th birthday, Daisy learns that it’s the first time Hoke has been outside the state of Georgia. When Hoke pulls over to the side of the road to relieve himself, he reminds the disapproving Miss Daisy that he would not have been allowed to use the men’s room at the gas station where they had just filled up. Playwright Alfred Uhry infuses his dialog with humor and an emotional understanding of his characters as products of the times that they lived in. It would be easy, for example, to criticize Hoke’s dialect as a stereotype. But the reality is that an illiterate black man in the 1950s American south would not have spoken like Richard Burton. Gloucester Stage audiences will remember Johnnny Lee Davenport’s powerful performance as Sam in last season’s Master Harold … and the Boys. 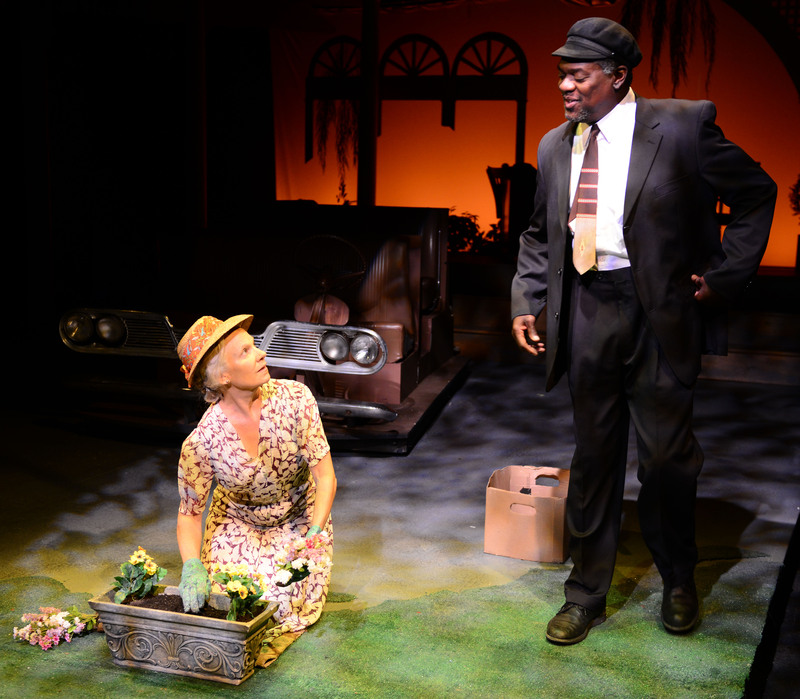 He brings the same strength, dignity and passion to the role of Hoke in Driving Miss Daisy. In fact, it’s hard to imagine a more perfect cast for this show than the one assembled by director Benny Sato Ambush. Academy Award nominee Lindsay Crouse’s numerous films include House of Games, The Verdict, Slapshot and Places in the Heart, for which she received the Oscar nomination. Elliot Award winning actor Robert Pemberton’s many stage credits include The Goat, Or Who Is Sylvia, Ponies and Dinner with Friends at GSC. Jenna McFarland Lord’s set design effectively captures the feel of a southern plantation style mansion, right down to the Doric columns. The car on a rotating turntable at center stage is another effective touch. 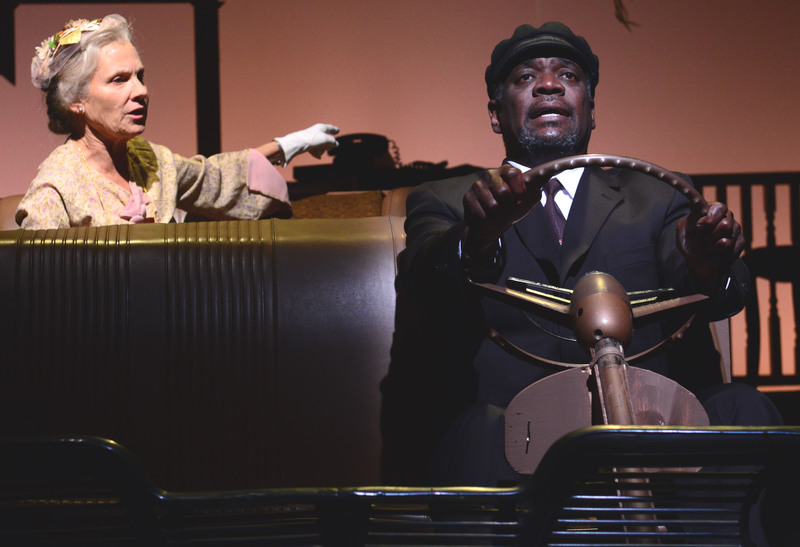 Driving Miss Daisy is the story of triumph over prejudice as a personal, one-on-one process. Despite her abuses toward him, Hoke maintains his own self-respect and good humor, and refuses to give up on Miss Daisy. It’s only through her forced closeness with Hoke as her driver that Miss Daisy gains a glimpse into his world, is able appreciate his basic human dignity and begin the process of transcending her own intolerance. 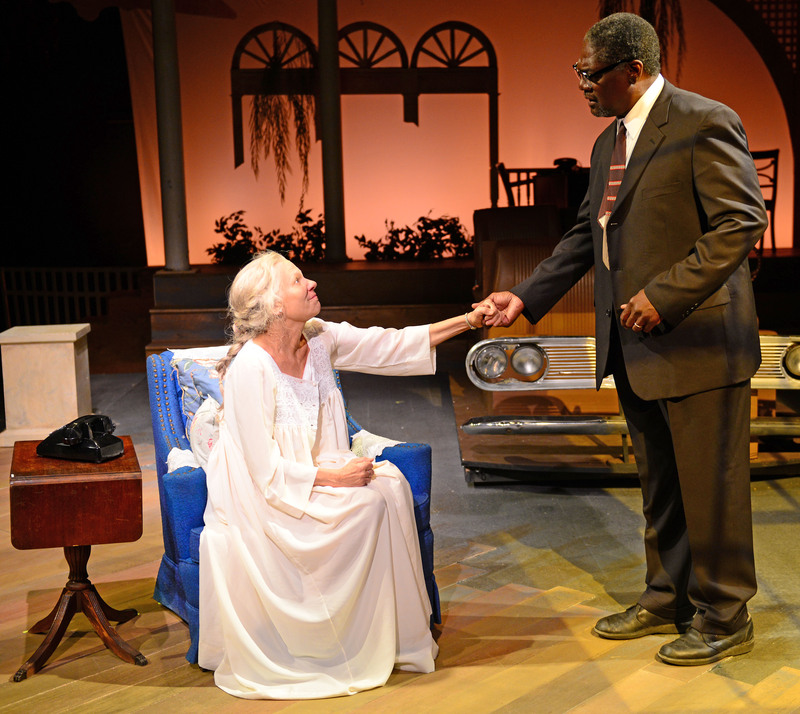 Driving Miss Daisy run through September 22 at the Gloucester Stage Company, 267 East Main St., Gloucester, MA. Performances are Wednesday through Saturday at 8 p.m. Saturday matinees are at 3 p.m. Sunday performances are at 4 p.m. Purchase tickets online or phone 978-281-4433.